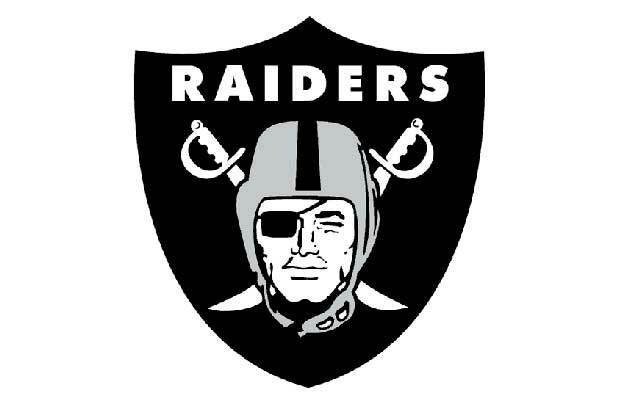 Coach Al Davis didn't, by definition, design the iconic Raiders logo. He did, however, change the tone of the famous pirate in 1963. He switched the team's colors from black and yellow to black and silver, giving the franchise its trademark look. A year later, the logo became the one we know today. Originally chosen by then team owner Chet Soda, the image features the likeness of actor Randolph Scott dressed as a pirate with crossed swords behind. Scott never once played a pirate on screen, but that hardly matters. What does is that his face, Davis' fiery nature, and a strong color combination turned the logo into one that Raider-nation (regardless of where the team has played) has hung on to for 50 years.